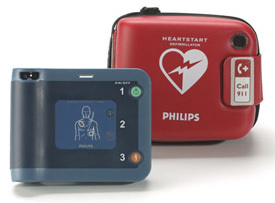 Built on a platform of proven ease-of-use, the Philips defibrillators are conveniently small and lightweight. 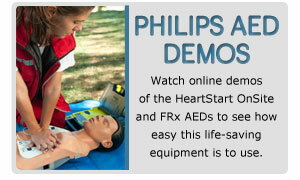 Philips is the number one manufacturer of AEDs and trusted by medical and rescue professionals. Using a clear, simple 1-2-3 interface, Philips AEDs are equipped to direct you through the resuscitation of a SCA victim. Don't hesitate to contact us so you can learn more about these systems. 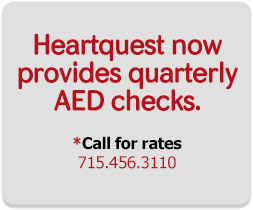 We will come to your site for education, evaluation, deployment and management of your AED system.